Crossrail, the organisation in charge of building London’s new Elizabeth line, has pushed back the 10-year mega project’s official opening date from December 2018 to autumn 2019. Chief executive Simon Wright said more time is needed to complete testing on the central section between Paddington and Abbey Wood. 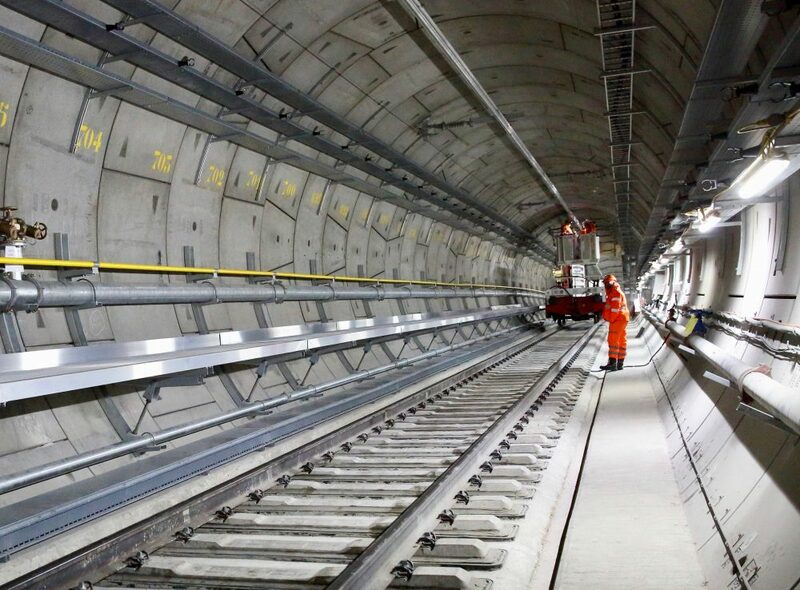 “The Elizabeth line is one of the most complex and challenging infrastructure projects ever undertaken in the UK and is now in its final stages,” he said. The original testing programme was delayed as contractors needed more time to complete the fit-out of the central tunnels and the development of rail systems software, according to Crossrail. Testing has started but further time is required to complete the full range of integrated tests. Elizabeth line trains are already operating between Shenfield and Liverpool Street and between Paddington and Hayes & Harlington. The trains are also being tested in the Heathrow tunnels. Construction activity is drawing to a close including the completion of the remaining architectural fit-out in the new central section stations. Crossrail estimates that the Elizabeth line will add 10 per cent to central London’s rail capacity and boost the economy by an estimated £42 billion. When the project will start in a short time will be closed! Due to inefficient work and workers from that project! Very disappointed to hear the bad news. As long as this government remains in power, no railway project or upgrade will be delivered on time and on budget. In the World of #globalisation it will get worse from project to project. People who are managing the job and other jobs have no interest to deliver on time because each day on the project is giving them more money. How? Simply the projects are big enough for huge, global “monopoly” to control the project sale market (there is enough cake for all big players to bite). The commercial models of delivery are constructed in such a way that the “monopoly” secures it’s future, especially if a project is not delivered on time. We see then a nice press article about why project is late… Is it efficient tax payers money spending? Well, for global companies it is because they are giving jobs and keep unemployment under control. What is an alternative? Develop smaller projects to bring some healthy competition… Otherwise smaller will depend on bigger in the World of globalisation and projects will be always late! Stations on the Shenfield-Stratford route is still being upgrading hence why Elizabeth Linewill not open this year with new footbridge+lifts at some stations. Including at Harold Wood, Gidea Park, Goodmayes, Seven Kings, Ilford, Manor Park, Forest Gate and Maryland. With lifts to be installed at Romford to replace the ramps that leads to platforms 2 (platform 1 Upminster shuttle (London Overground)), platforms 3/4 and platform 5 (platforms 2 & 3 for Greater Anglia and platforms 4 & 5 for TfL Rail/Elizabeth Line). Whilst Brentwood and Chadwell Heath stations have already been upgraded with new footbridge+lifts to all platforms. And Shenfield platform 6 is now in operation for TfL Rail trains to use platform 6 aswell platform 5. With platform 4 being used for Greater Anglia Southend Victoria trains. Aswell some stations in West London such as Acton Main Line and Hanwell which are to become step free accessible. Except Hanwell won’t be used all the time hence why the platforms can’t be extended to accommodate longer trains such as TfL Rail Class 345 9-Car and GWR trains that are formed as 8-Car and 12-Car. As if we do not Know and Understand the delay in opening is a Social Nudge by Central Government. The delay (insert xyz reasons) will postpone the opening until after end of March next year… the otherside of Brex’sh’ite. The general exit voting public have to feel the pain of spiralling costs and dwindling incomes and loss of jobs etc to realise being a full member of the world’s largest single market and Wealthiest Single Market is better than trying to grovel for table scraps with countries who have an income of less than a €1 per day per person. The economic upwell of the opening of the central portion of xrail… is postponed so there will be no ‘blips’ in London that could swing voters towards the English National Sui’cide.